TOYKO, Japan, May 2, 2011 (ENS) – Radioactive substances may be leaking from fuel rods at a nuclear power plant in Tsuruga, the Fukui prefectural government said Monday, noting a rise in the level of radioactive substances in the reactor’s coolant water. Japan Atomic Power Co., the utility firm that operates the Tsuruga nuclear plant on the Sea of Japan coast, acknowledged “technical difficulties” at the Unit 2 reactor and confirmed a possible leak of radioactive iodine from the reactor’s nuclear fuel rods into the coolant system. The company said Monday that 4.2 becquerels of iodine-133 and 3,900 becquerels of xenon gas were detected per cubic centimeter of coolant water, up from 2.1 of iodine-133 and 5.2 becquerels of xenon gas measured during tests conducted April 26. The company said it will manually shut down the Unit 2 reactor and examine its cooling system. 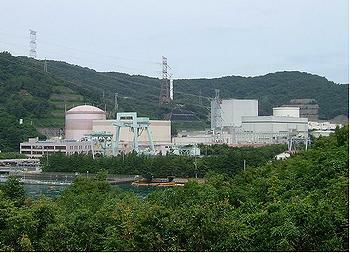 The prefectural government denied that the levels of radioactive substances could threaten the surrounding environment. Tsuruga is one of the 15 nuclear reactors around Wakasa Bay on the west coast of Honshu island, the largest concentration of nuclear power plants in the world. Tsuruga is not in the region devastated by the 9.0 magnitude earthquake and resulting tsunami on March 11 that damaged Tokyo Electric Power Company’s Fukushima Daiichi nuclear plant on Honshu island’s Pacific coast. The accident at Fukushima Daiichi resulted in a nuclear disaster of unprecedented portions in Japan, with hydrogen gas explosions at three of the plant’s six reactors that spewed radiation into the air and leaks of highly radioactive water into the Pacific. Today, workers at Fukushima Daiichi are preparing to install equipment intended to cool down the Unit 1 reactor. Eight workers scheduled to begin installation this week will be the first to enter the reactor building since a hydrogen explosion there on March 12. Before the workers enter, equipment will be installed that is supposed to filter out 95 percent of the radioactive substances in the reactor building’s air so that they will have a relatively safe environment in which to install the cooling equipment. On March 11, the Fukushima Daiichi plant’s reactors automatically shut down, but cooling functions were lost when outside power supplies as well as emergency backup generators were destroyed. TEPCO has been spraying sea water, and later fresh water, into the damaged reactors in a partially successful attempt to cool the nuclear fuel, but partial meltdowns have occurred anyway, the company and government agencies admit. Japanese Prime Minister Naoto Kan said Sunday that the government and Tokyo Electric Power Company failed to fully address safety issues that were known before the March 11 disaster. An accident in June 2010 at Fukushima Daiichi caused by the loss of outside power and the subsequent drop in the water levels of a reactor was discussed at Sunday’s Upper House Budget Committee meeting, Japan’s public broadcaster NHK TV reports. In response to a question on whether sufficient safety measures had been taken, Prime Minister Kan said nuclear plants operate on the assumption that emergency diesel generators will maintain a reactor’s cooling functions when outside power is cut off. Kan said measures were not taken despite previous accidents and warnings, and that he must admit the utility and the government failed to fully deal with the situation, NHK reported. To prevent a similar disaster at the world’s largest nuclear power plant, also operated by TEPCO, the government has ordered the company to implement emergency countermeasures starting immediately. TEPCO must undertake emergency measures at the Kashiwazaki Kariwa nuclear plant on the Sea of Japan, an earthquake-prone area. The required measures are intended to prevent damages to the reactor core and spent fuel, suppress discharges of radioactive materials and restore the cooling function of the reactor facility in the event of a natural disaster. In July 2007, a magnitude 6.6 offshore earthquake happened just 19 kilometers (11.8 miles) away from the Kashiwazaki Kariwa plant. This shook the plant beyond its design basis and initiated an extended shutdown for inspection, which indicated that greater earthquake-proofing was needed before operation could be resumed. 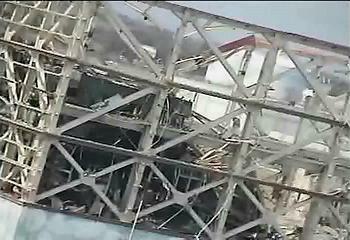 The plant was completely shut down for 21 months following the earthquake and only restarted on May 9, 2009. 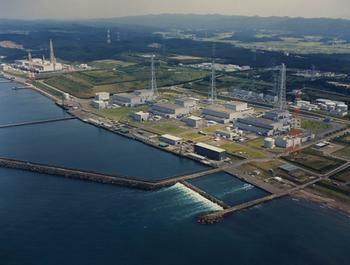 The official report issued by the International Atomic Energy Agency after a four-day inspection stated that the plant “behaved in a safe manner,” but later inspections showed that radioactive sea water did leak into the Sea of Japan. According to Japan’s nuclear safety agency, this was the first time a release of radioactive material happened as a result of an earthquake.